Corbett Thomas of the Purgatory Freestyle Ski Team picked up the overall title last week in Telluride. Calvin Chase of Four Corners Freeride Team soars off a cliff during an International Free Skier Association big-mountain competition last weekend at Monarch Mountain. Lucy Klotz of the Purgatory Freestyle Ski Team performs a truck driver off a jump during the team’s competition last week in Telluride. 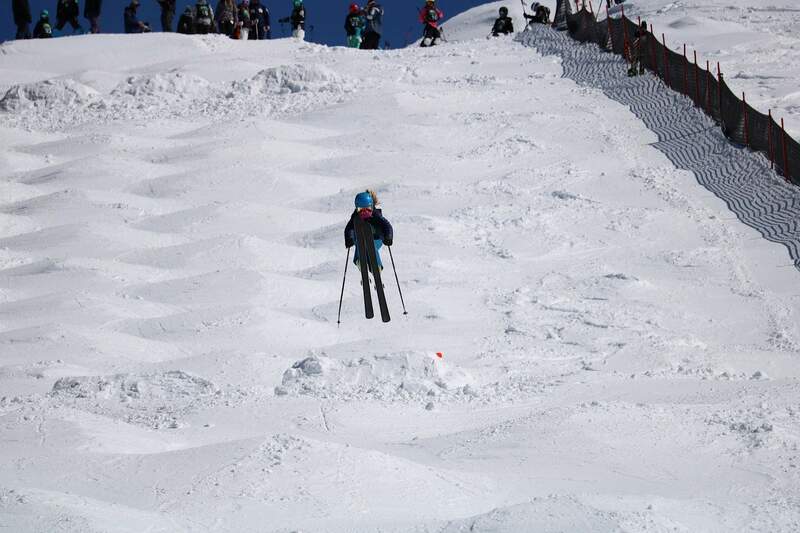 Purgatory Freestyle Ski Team’s Ryan Bell spins a 360 last week in Telluride. Bell placed third at the competition for the 15-and-under age division. Amanda Kirk of the Purgatory Freestyle Ski Team picked up a third-place finish in the 11-and-under age division last week in Telluride. The Purgatory Freestyle Ski Team collected several medals, including a couple first-place finishes in Telluride. 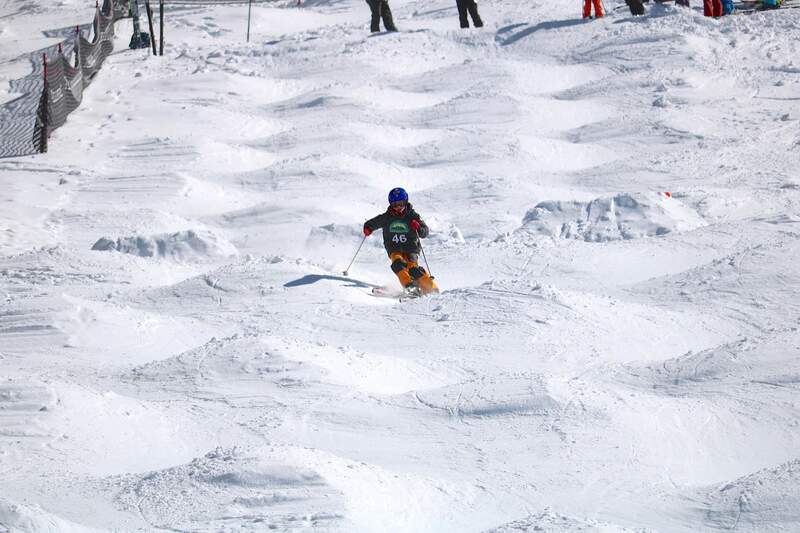 The Purgatory skiers, aged 8 to 14 years old, competed in the Developmental and Rocky Mountain Qualifier Series events against 110 different athletes from Aspen, Pajarito, Steamboat, Summit County, Telluride, Vail and Winter Park. In the RQS competition Friday, Balin Kirk led the team with a silver medal. He threw two different 360s for his airs and was joined on the podium by bronze medalist Chase Connors for the 11-and-under category. RQS skiers are scored on turn quality, air difficulty and execution, and overall speed. Amara Kirk managed a bronze medal in the 11-and-under division, and teammate Ryan Bell secured bronze in the 15-and-under division. Kai Skowlund skied to a fifth-place finish for 15-and-under boys, and Stephen Boone managed an eighth-place finish for 13-and-under boys. Megan Faherty, one of the pre-race favorites, fell just before the finish line to take her out of contention. Lucy Klotz also found a bumpy ride down the Hermit course, falling off the top air. 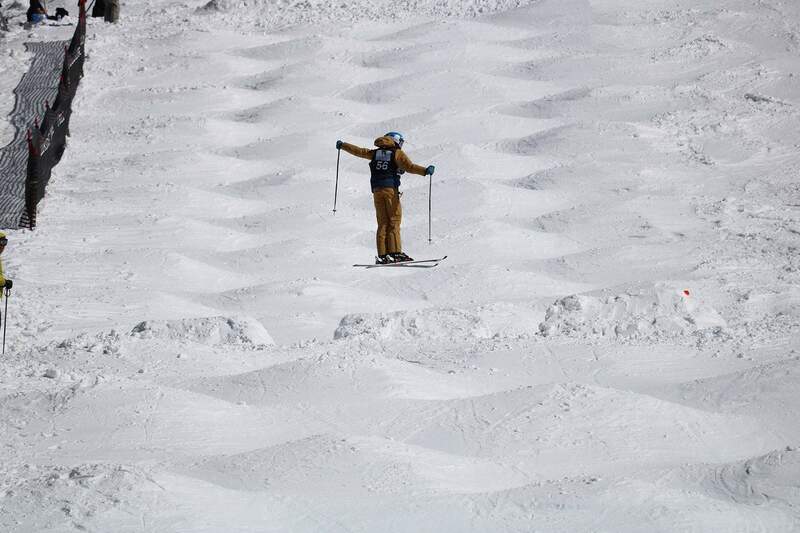 On the second day of competition, a group of 42 developmental competitors took to the slopes. With his patented truck driver spread eagle, Corbett Thomas took first place in the 11-and-under division. Finn Skowlund joined Thomas on the podium with a third-place finish. Ellie McLean took top honors for the 13-and-under girls, with Teagan Reese alongside in second place. Chip “The Ripper” Catsman brought home a bronze medal in the 9-and-under division, with Montana “Big Sky” Faherty placing eighth for the 11-and-under girls. At the competition, the young skiers earn points to qualify for the Rocky Mountain Qualifier Series and the Developmental State Championships March 15-18 at Winter Park. 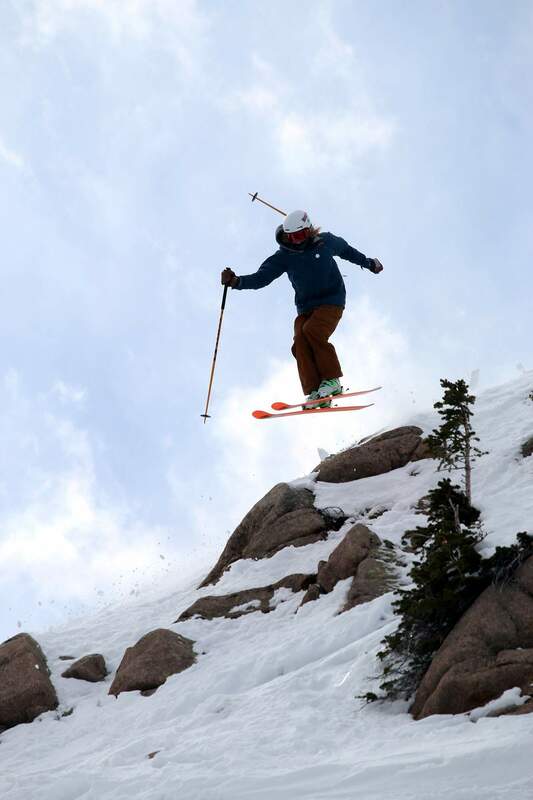 Four Corners Freeride TeamDurango’s own Four Corners Freeride Team competed at an International Free Skier Association (IFSA) sanctioned big mountain competition at Monarch Mountain this past weekend. The Durango-based team sent 14 athletes to the competition to show off their ability to ski steep big-mountain lines with fluidity, control, technique and style. Eight of the 14 athletes advanced to ski in the final on Sunday held in Monarch’s Mirkwood area – an area accessible by hiking to double black diamond runs. In only his second competition, 15-year-old Calvin Chase hammered out a heart-stopping qualifier to lead the day in the 15-18-year-old boys category. He finished second in the category with a dynamic final run. First-timer Lorien Hoshall, 15, secured a fourth-place finish in the 15-18-year-old girls category and qualified for the finals with a high-energy run Saturday. Wes Jackson battled back from qualifying 13th in the 12-14-year-old boys division to place third after he stomped two of the biggest airs of the day in the finals. Lucy Hall, the favorite in the 12-14-year-old division, outran the competition Saturday to qualify first by three full points. 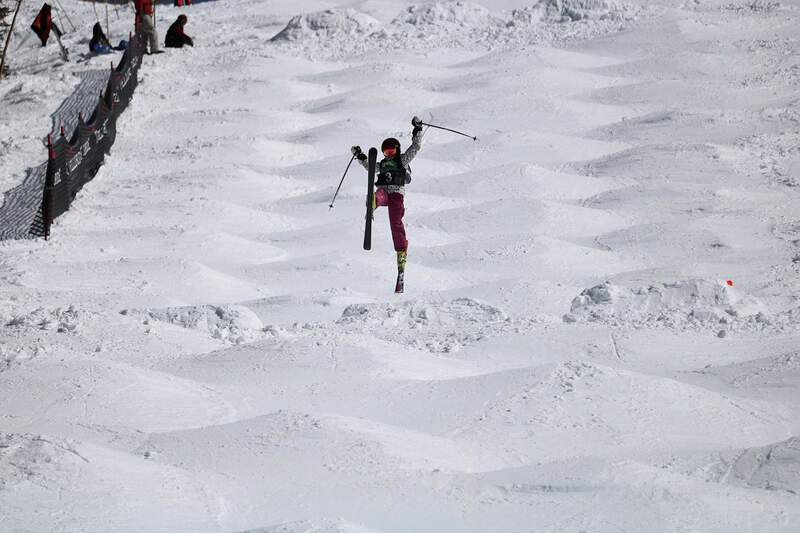 But she took a hard fall after a massive air and finished seventh overall. Brian Buerger, the team’s head coach, said Cole Chism, Denzel Farmer, Chloe Hirst, Jeremiah Rohrich and Leit Schafer all skied impressive runs to qualify for the finals, while Emma Duke, Jonah Gottlieb, Brett Hayden, Sabina Tamburrino and Gwen Tull put together good runs in qualifying.